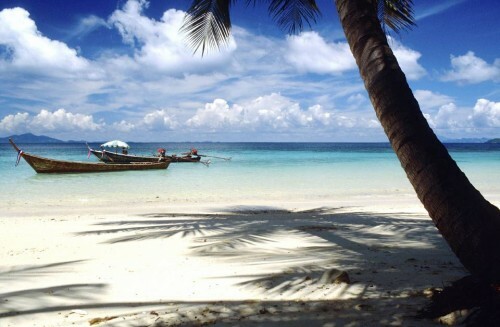 Cheap flights to Thailand: Bangkok with Etihad for €369! UPDATE 24.10.: now also possible to fly from Geneva with return to Munich or Vienna for only €358! Example booking 13.11.-25.11. Etihad now offers really cheap flights to Thailand in the end of this year. Multicity flights on route Zurich – Bangkok – Munich will cost you only €369! 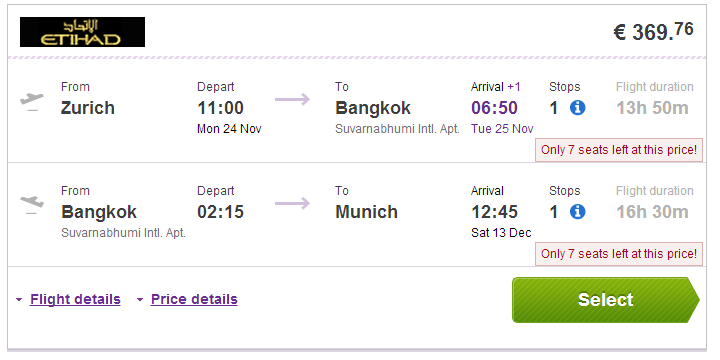 Regular price of tickets to Thailand on this route is over €600! There is one stopover in Abu Dhabi, 23 kg luggage is included. great offer, is it possible to return to Zurich for the same price? « HIT! Flight to Kenya with Lufthansa + 1 week in hotel for only €446!